I am indebted to God and my Bishop, His Excellency Nicholas DiMarzio, for the gift of The Rome Experience. The Rome Experience was an amazing pilgrimage that educated me, lifted my spirits, affirmed my calling, and deepened my love of God and his Church. It was exactly what I needed, when I needed it. 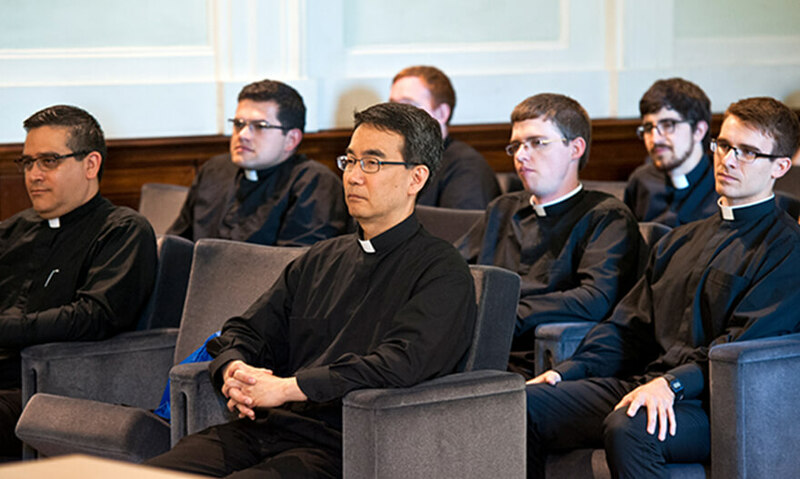 I was pleasantly surprised by the extent to which I grew and was strengthened in all four dimensions of priestly formation; spiritual, human, intellectual and pastoral. In only six weeks we were immersed in: a silent retreat at Ars; fascinating classes through the Pontifical University of Santa Croce in Rome; visited and prayed in more churches than I can recall; met with cardinals, bishops, and congregation representatives that gave me an appreciation for the Church Universal in a unique and powerful way; the fellowship and camaraderie of twenty seminarians from across the country; and so much more. Furthermore, I befriended and remain in close contact with two seminarians whom I would never otherwise have met. The Rome Experienced enabled me to return to seminary free of doubts and excited to participate in God’s unfolding plan. God bless all the good people who instruct, manage, maintain, and make The Rome Experience possible, especially the sponsoring (Arch)Dioceses.